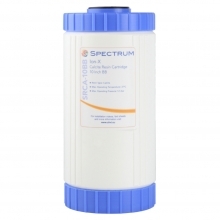 SPECTRUM calcite resin cartridges are the perfect solution when neutralising the pH of acidic water. High uniformity coefficient for maximum contact. Dissolves slowly to release calcium carbonate which neutralises pH.